Ah, the hula. This is something that I suppose I would associate with Hawaiian culture only if someone were to specifically ask me about the kind of dancing that the people of Hawaii do. 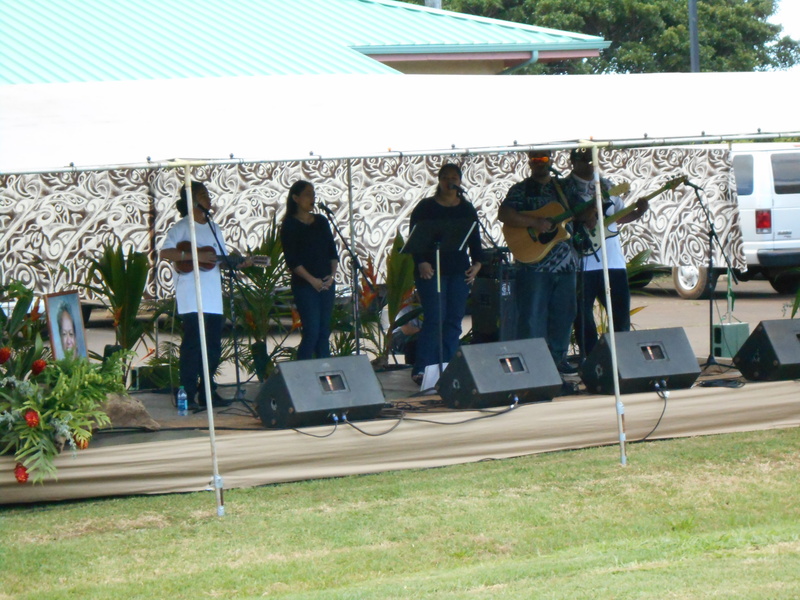 I must admit, normally when I think of Hawaiian culture my thoughts go right to ukuleles and leis. But alas, there is this wonderful dance that exists as well, and it is a joy to watch. On both Friday evening and Saturday afternoon I caught a ride with two of my neighborhood friends and ventured the 7 miles out of town to the (basically only) other town on the island. 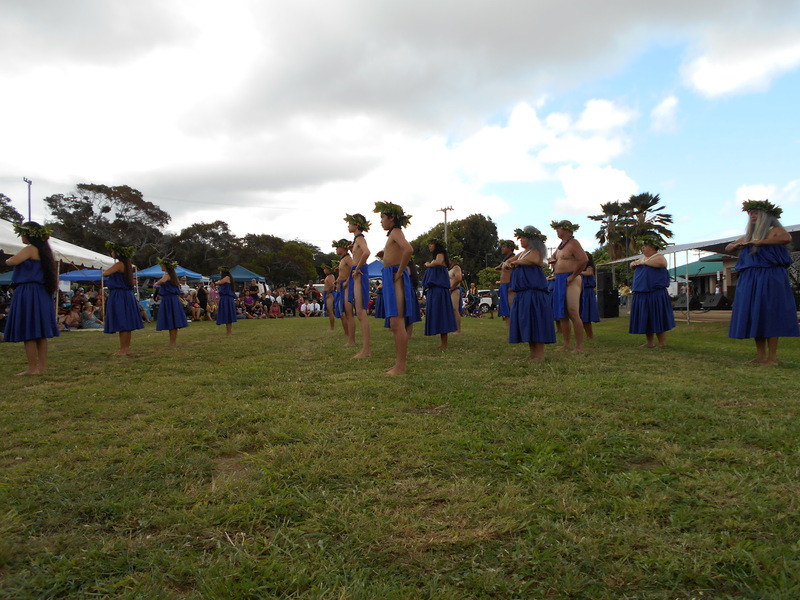 There, in the hills of Molokai where the high school is built, a statewide hula festival was being held. You can take note of the photos I was able to snap below, but it was set up much like the kinds of festivals you see in other states around the country. Tents of vendors lined the outskirts of the grounds, each selling a variety of foods and crafts; the main tent was positioned in the center of the lawn with plenty of room to sit on the grass or at a picnic table; and the main “stage” was a simple opening on the lawn where the performers had some space to move around. One of the most captivating parts of the hula is how intensely the dancers concentrate. They obviously take their craft very seriously, which in tern makes the onlookers appreciate the art more. Despite getting a little wet, a grabbed myself some lawn with a great view of the dancing and happily watched as many of the dances as I could. My two friends who had gone to the event with me are reporters for the local newspaper, so they ran around and took their photos and gathered their quotes for their stories. I fell into the trance that is hula as they worked hard. 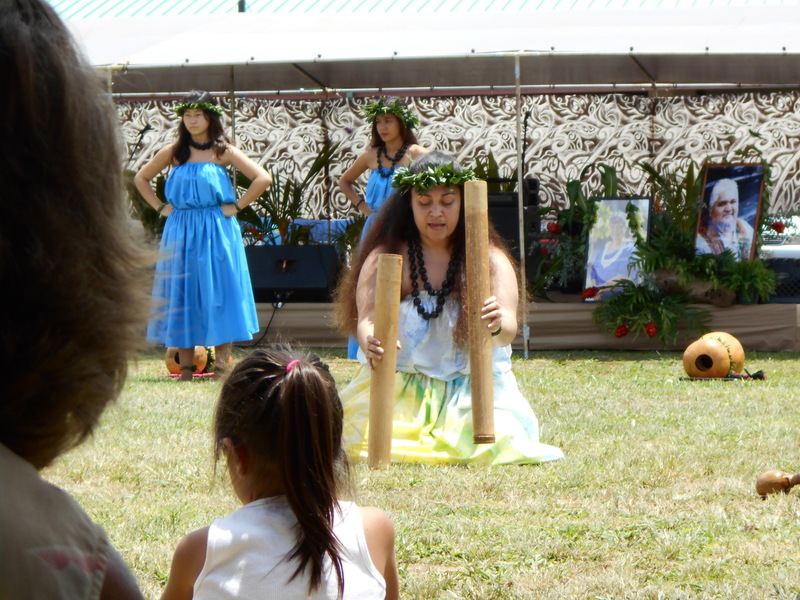 Hula is an extremely unique thing to experience in its natural form. It’s not as silly as one is led to believe as a child. In fact, after most of the performances, I could see the dancers panting. I guess hula is not just for fun, but also a workout. Every dance tells a story, and the dancers are the ones who act it out for the audience. 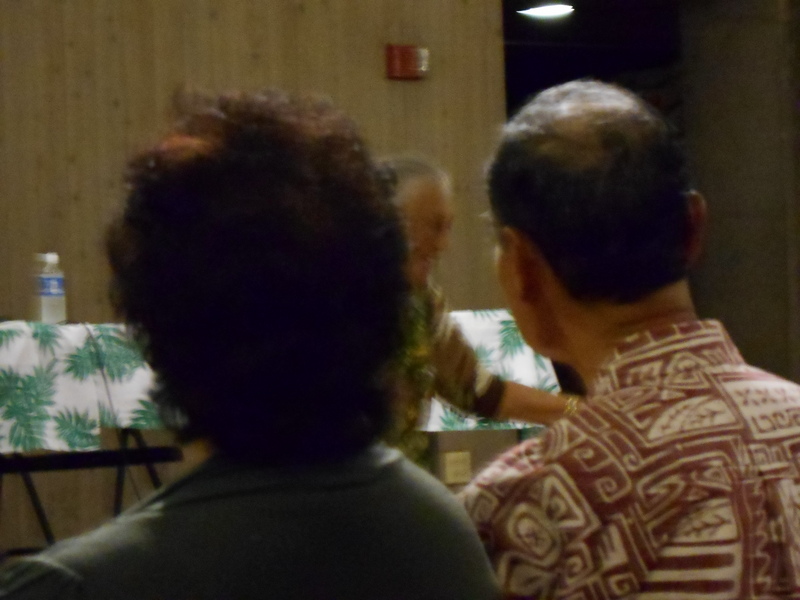 Each story seemed to be rooted deep in Hawaiian culture, but with a brief intro from the announcer, it was easy to follow along with the tale being told. The first group of dancer from Maui or Oahu, I can’t remember. While there were loud speakers set up for announcements and introductions, they were not used for playing any music. 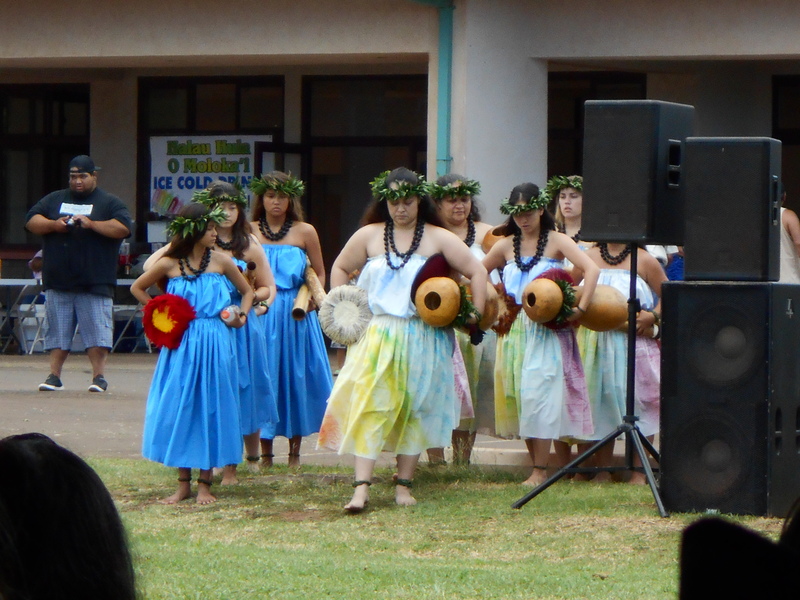 Each dance was accompanied by a single singer who also played either a drum or a ukulele. I was quite impressed by how much music one voice and one instrument were able to produce. I’m not sure what this instrument is called, but it made enough sound to captivate a crowd. In a world where technology is advancing so quickly, I love taking the time to appreciate pieces of ancestry and the past, even if they are not my own. The Hawaiian people are truly trying to remain rooted in their past as they move into the future. 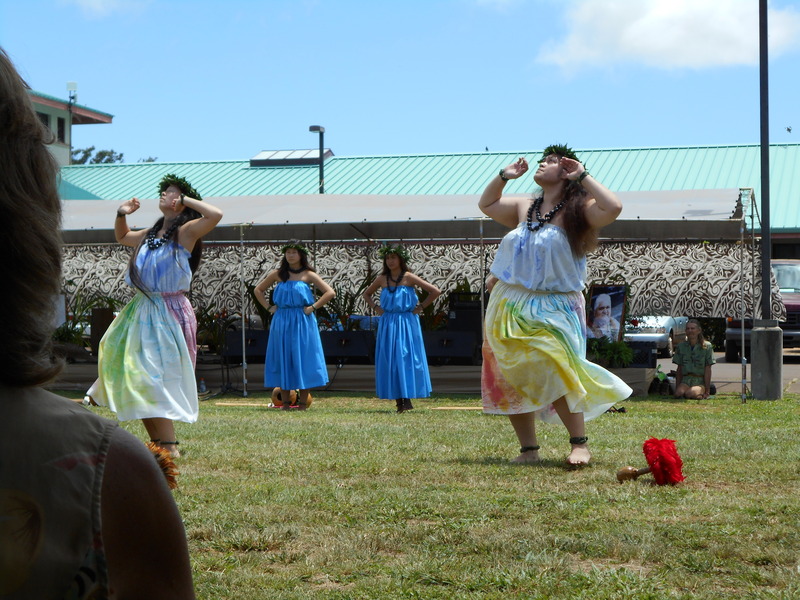 Each hula instructor, whether from Oahu, Maui or Molokai dedicates their time to teaching their students an important piece of their culture and, ultimately, where they come from. We (the audience) were lucky enough to be graced with a dance from an 87-year-old instructor who still teaches (and dances) today. Although, her knees “don’t bend the same” anymore. Sorry for the awkward angle and the blur, despite the awful photo, she deserved to be in this post, I mean, she is dancing at 87! Another dance group with both male and female dancers – this made for some interesting dances based around mating. Lots of music and singing, too. 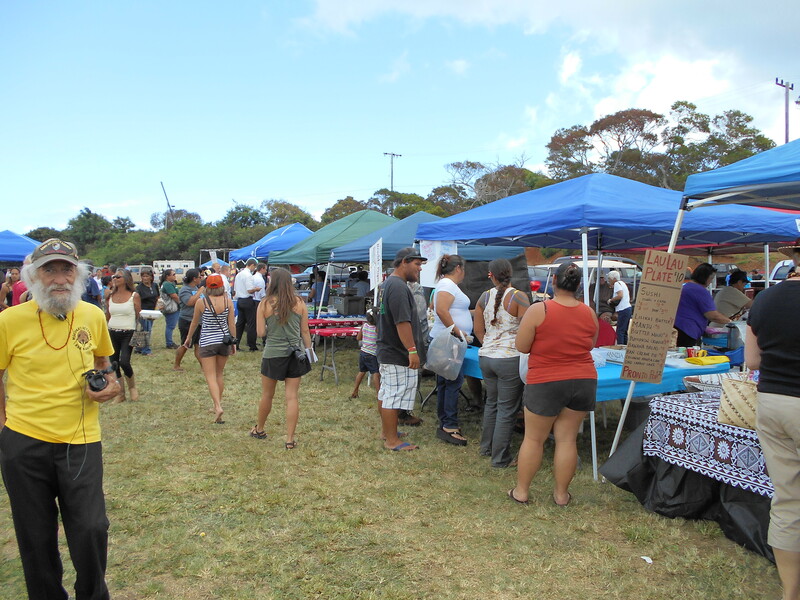 This entry was posted in Hawaii and tagged Crafts, Festival, food, Hawaii, Hawaiian, Hula, Hula Dancing, Molokai, rain, sun, Vendors. Bookmark the permalink. Sweet! It’s so nice that you have a long stay that allows you to soak in the culture. I imagine that very few that visit the islands have enough time to get more than a superficial exposure.